"These are thought-provoking and scrupulously intelligent performances." Violin Sonata in A Minor "F-A-E"
"It’s beautiful playing, tonally and expressively and very musical, but it’s also surprisingly open ..."
"Disc of the Month ... a breathtaking balance of poise and daring ... Tetzlaff and Vogt take obvious pleasure in details without losing sight of the larger picture, whether it’s a phrase, a movement or an entire work. Indeed, they sharply delineate the individual character of each sonata." "Four Stars ... each work has a questing lyricism, vividly captured here. Christian Tetzlaff’s distinctive, quicksilver playing, capable of extreme pianissimo, suits the intensity and introspection in each ... the performances are agile, airborne, refreshingly unpredictable and alive with exhilarating freedom." 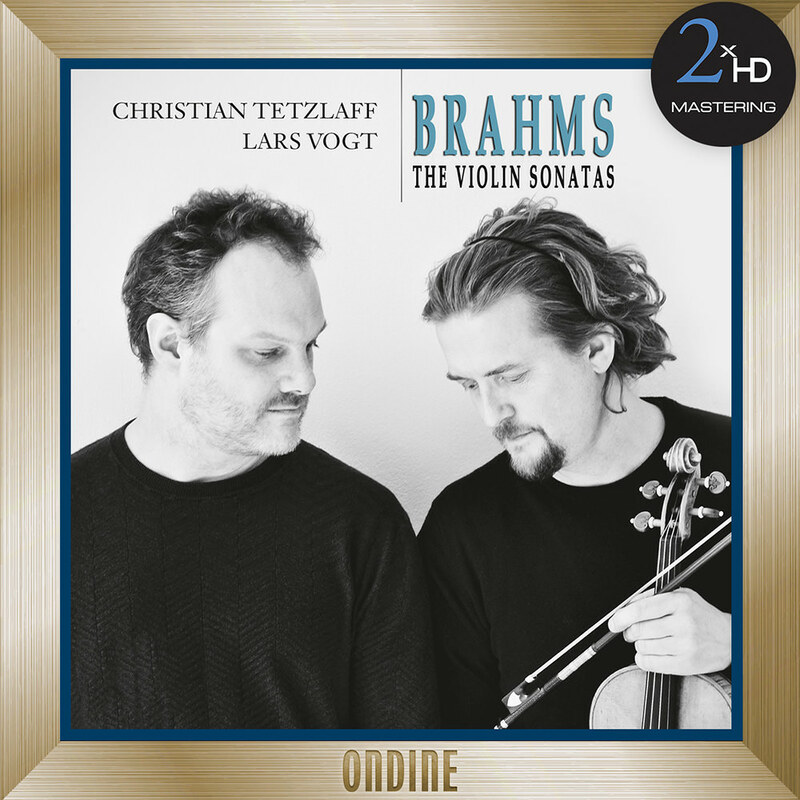 Award-winning violinist Christian Tetzlaff and pianist Lars Vogt continue their successful series of violin chamber music with this exciting programme of Brahms's sonatas, considered among the greatest masterpieces of the 19th century chamber repertoire. Brahms wrote these powerful works at the height of his creative powers, bringing the genre of violin sonatas into a new dimension. In order to achieve the most accurate reproduction of the original recording we tailor our process specifically for each project, using a selection from our pool of state-of-the-art audiophile components and connectors. The process begins with a transfer to analog from the original 24bits/96kHz resolution master, using cutting edge D/A converters. The analog signal is then sent through a hi-end tube pre-amplifier before being recorded directly in DSD 5.6 MHz using Merging Horus/Hapi In and the dCS Vivaldi Clock. All connections used in the process are made of OCC silver cable. Each format (96kHz, 192kHz, DSD 2.8 MHz, DSD 5.6 MHz) was created using Merging Horus/Hapi A/D converter, calibrated to the required format and a dCS Vivaldi clock.